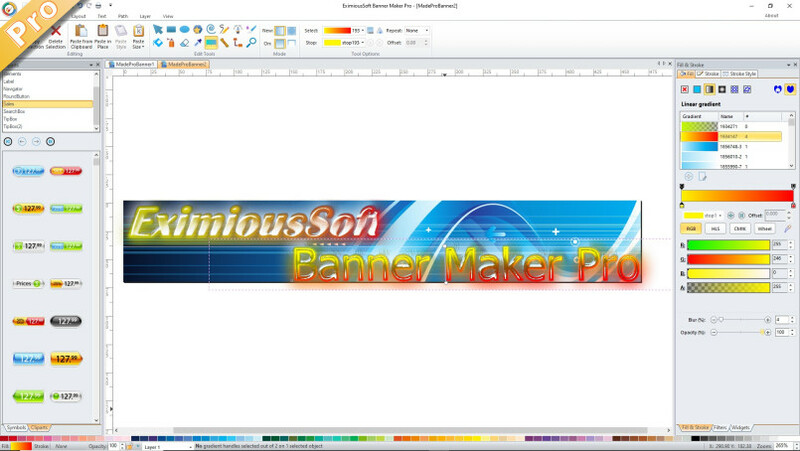 EximiousSoft Banner Maker Pro runs as a greate graphic-designed program. It binds full featured drawing tools, high quality pre-designed banner templates, cliparts, vector symbols and amazed rendering filters. It helps you to create stunning business banner ads for printing with high resolution. By it, you can visually design any web-based banners, buttons, headers etc.graphics and supports to save as SVG/EPS/PDF/EMF/WMF/PNG etc. file format.